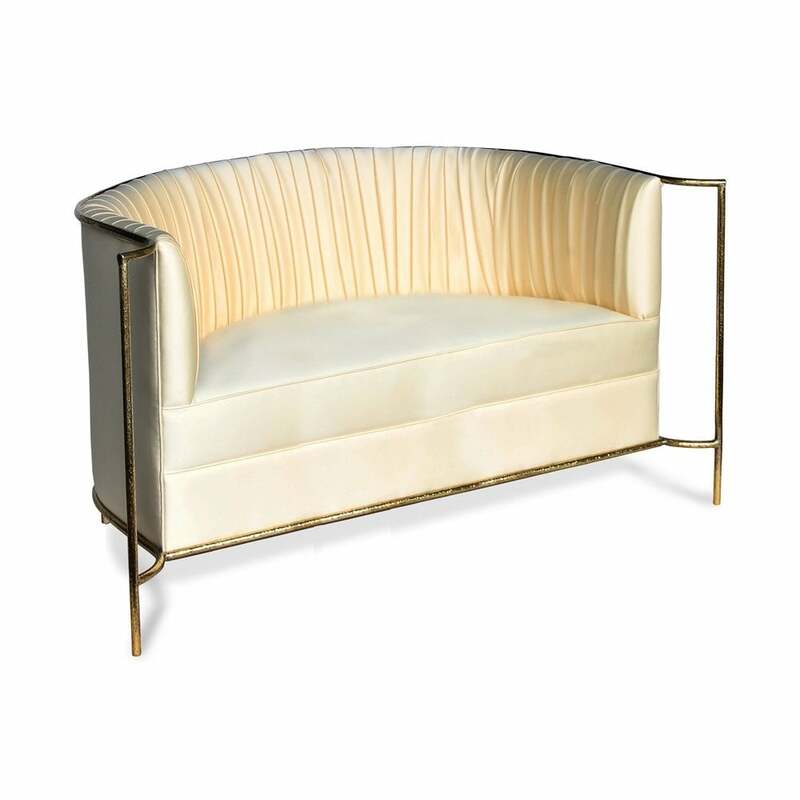 Ignite your desire to be wanted in the comfort of this provocative fully upholstered sofa. A matt gold hammered band outlines its curves the way the mind outlines the female desire. Upholstery: KOKET Fabric collection; or COM/COL (POA). Metal Band: Hammered matt gold..